Nickname: "Peaches" and "Speedy Gonzalez"
Carlo has been diving since the age of 7 and has attended four Speedo Junior Elite Nationals. 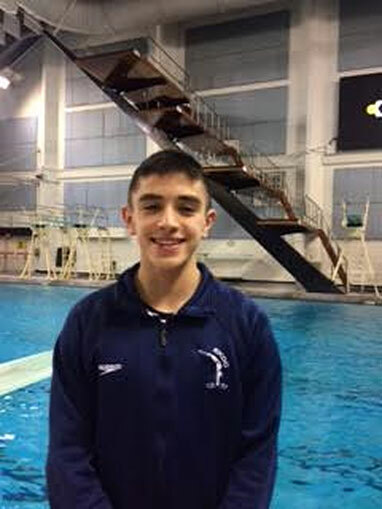 He was Junior National Champion on 1m and 3m and silver medalist on Tower in 2012. He has made finals at the national level 3 years, including a top 4 finish in 2013. If you watched the 2016 Rio Olympics, you'll understand why his idol is Mexican Tower diver German Sanchez. Carlo's favourite part of diving is travelling to different locations and taking part in competitions. He never goes without food in his dive bag because he always gets hungry during practice! He says that the sport has taught him good sportsmanship and maintaining a positive attitude.